We have congregations in most major cities across Australia. They are friendly places where people know each other well and encourage one another in their Christian walk. You are more than welcome to visit, and if you like, to regularly fellowship with us. May you be enfolded in the love of God, the grace of Jesus and the communion of the Spirit, wherever you participate in the Body of Christ around the world. Some of our churches have websites with features that make them worth visiting, such as articles, devotionals, audio or video. The Clarence Park Community Church in South Australia meets most Sundays. Click here The Grace Community – Carina, Queensland congregation is one of several congregations of Grace Communion International in the Brisbane area. The website of the Devonport, Tasmania congregation of Grace Communion International. Click here Eagleby Community Church is an active family church who meet in Eagleby, Queensland a southern suburb of Brisbane, Australia. A warm, loving, family friendly church serving the communities of Frankston, Seaford, Carrum Downs, Langwarrin, Mount Eliza and surrounding communities of these Victoria towns. Click here Website of the Mornington Community Church, the Hobart, Tasmainia congregation of Grace Communion International. Esk Valley Community Church, the Launceston Tasmainia congregation of Grace Communion International. Click here Mooroolbark Christian Fellowship is a congregation of Grace Communion International located in Melbourne Victoria. 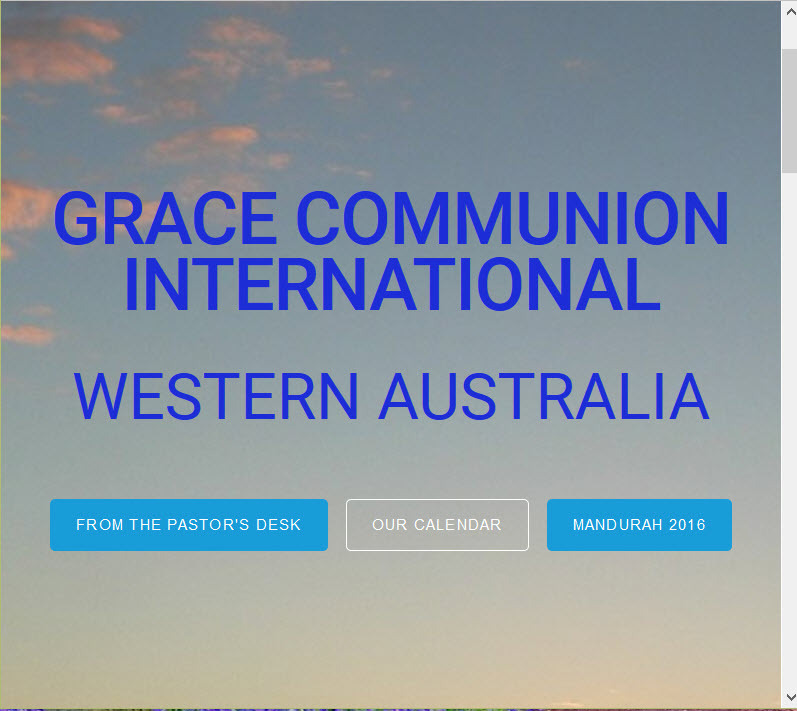 The website of the Newcastle New South Wales congregation of Grace Communion International.